Both private and public sectors recognise more can and should be done to get kids more active. 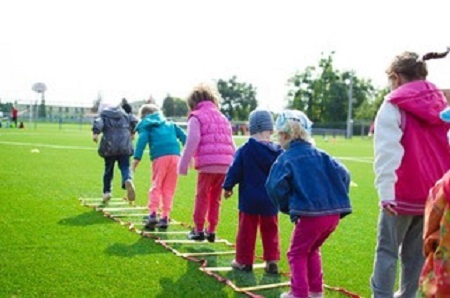 Elevate Kids has been launched to create a forum for discussion and cross sector learning from the widest possible variety of organisations interested in getting kids more active. Spend continues to increase with the Department of Education alone pledging to double the amount of funding for PE and sport in schools. Coupled with this a predicted £141 billion is forecast to be spent by 2022 in the UK leisure market, with an increasing focus on children and teenagers. Elevate Kids is supported by a range of key industries organisations including BALPPA, ukactive, Public Health England and the Association of Play Industries. Janice Dunphy, chair of FEC sub group, BALPPA, said: “BALPPA are pleased to be supporting Elevate once again. With the launch of Elevate Kids and its focus on creating a more active nation, BALPPA looks to sit at the heart of the debate, specifically raising awareness and understanding of the hidden benefits that attractions such as Family Entertainment Centres and Indoor Play Centres can offer as a solution to helping children and young people become more active. Elevate Kids is the event which brings together the professionals responsible for getting kids more active. Hundreds of decision makers from; leisure providers, family entertainment centres, schools / pre-schools, local authorities, holiday parks, soft plays centres, trampoline parks, climbing walls, sports clubs, outdoor pursuits and public pools attend to discover the latest leisure, sport and active play products and ideas. Exhibitors at Elevate Kids already include Rugged Interactive, Myzone, Clip n Climb, BALPPA, Association of Play Industries and Swim England.